S O L D This painting reminds me of my childhood. I did another version a few years back including a chair. 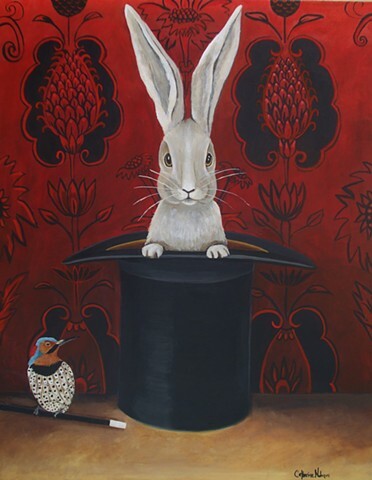 Black top hats, bunnies, birds and lovely wallpaper. A few of my favorite things. This piece is 14x18 created on a birch wood panel with painted sides.